Upcoming events for Michael Brown. If you’ve done counseling with me then you already know that the clinical application of the ancient art of mandala drawing is a fun and insightful process. Here’s how it works: Identify an issue of importance, write down a few thoughts about it, close your eyes and get an image to express it, then sketch the imagery with colors within the confines of a circle. It sounds simple, doesn’t it, but it’s actually quite a magical and mysterious process. Why? First, it is an act of self-love to turn away for normal distractions and actually focus on something significant–a path to the heart. Second, symbolic imagery opens and alters consciousness and can make available the healing energies of the soul–intuition, inspiration, revelation! Mandala art is a principle tool in my counseling process. So come back and take part in this three-evening seminar. Each evening we will focus on one of three levels of importance: Where are you now at this time in your life; For what do you long, to what vision do you aspire; What is getting in the way of its realization and how can you address it. The cost is $60.00 to do one, two or all three evenings so I hope you’ll take the whole ride. Here are some references to check out this work and inspire you whether or not you join us. A 12-page ‘legacy’ article summarizing much of what I know: “A Psychosynthesis Twelve-Step Program for Transforming Consciousness: Creative Explorations of Inner Space” from the Journal of Counseling and Values, 45(2), January 2001. BACKGROUND There are many religious options, forms of counseling, different paths to personal growth or spiritual renewal available today to assist us in our effort to improve our patterns of thinking or behaving. Few of us, however, know anything about the methods, techniques, rituals, and rites-of-passage used by Native Americans to develop personal and collective resources, to unite and hold their communities together and to work toward the realization of shared visions and goals. One such process is called The Bone Game. The Bone Game is an ancient, complex, and highly structured ritual of personal and group transformation. It is a contest of spirit focused in a competition between two groups. It arose out of the need for conflict resolution. It was developed as an alternative to aggression or war and was used between quarreling members of a tribe, between disputing tribes, and between nations in conflict. The essential purpose of The Bone Game was, and this weekend retreat is being offered to, help participants touch, develop, and make explicitly useful their deepest human potential. It helps them develop patience, listening skills and the capacity to communicate authentically. Players explore the dynamics of competition, fear, pretense, and inertia and work to transform these base human traits into the qualities of cooperation, courage, honesty, and commitment. Through the process participants become more expressive, more energetic and inspired, and from this emerges an experience of the magic and power of the human spirit. PROCESS In The Bone Game, players in groups of at least five members confront an array of specific tasks to complete before competition between the two groups takes place. Through an ever deepening process of self-disclosure among group members and the challenge of coming to decisions on the basis of consensus, a sense of unity emerges within each group. The Bone Game cuts through ego structures, personality patterns, and intellectual defenses and leads players to the very core of themselves. From this comes the focus and energy necessary to play and win, or lose, the game. To understand explicitly how The Bone Game works, read an article I have authored published in the Journal of Experiential Education in May, 1990. It can be found at: http://www.michaelbrown.org/HTML/BoneGame.htm. Call for more information or to register at 804-222-0483. It will take place at 4889 Finlay Street, Suite A, Richmond, VA, 23231. A non-refundable deposit of $125.00 is due by October 23, 2017. Michael H. Brown, Ed. S.
DEEP RELAXATION, STRETCHING, EXERCISE, BREATHING TECHNIQUES: to release stress and tension; to become more calm, centered and present at home and work; to open more widely to an experience of love for self, others and the natural world. REFLECTIVE THINKING, JOURNAL WRITING: to increase the focus, concentration and mental clarity with which sound decisions are made. Writing and journal work in and between sessions are considered essential to the process of problem solving, self-discovery and growth. VISUALIZATION, MENTAL IMAGERY, HYPNOSIS: to use the imagination to deeply explore issues of concern; to create clear mental pictures of and therefore gain insight about issues, goals and priorities; to perceive reality in creative ways; and to connect to the energies of inspiration and revelation. SYMBOLIC DRAWING AND MANDALA ART: to capture mental pictures on paper so they can be studied, understood and remembered; to study over time patterns which repeat and need to be addressed or transformed; to enhance creative self-expression and by sharing the art to improve interpersonal communication skills. ROLE PLAYING, PSYCHODRAMA, MOVEMENT WORK: to become more spontaneous and trust the self in action; to communicate in powerfully non-verbal ways; and to enhance empathy and intuition. HOMEWORK AND THE DEVELOPMENT OF REALISTIC ACTION PLANS: to fully utilize the insights and inspiration of the counseling and consulting process in grounded and specific ways to deepen levels of awareness, improve patterns of thinking and behaving, and increase personal, professional and spiritual well-being. LEADER Michael H. Brown, Ed. S., is a Licensed Professional Counselor, Licensed Marriage and Family Therapist, and Diplomate in Clinical Hypnotherapy. 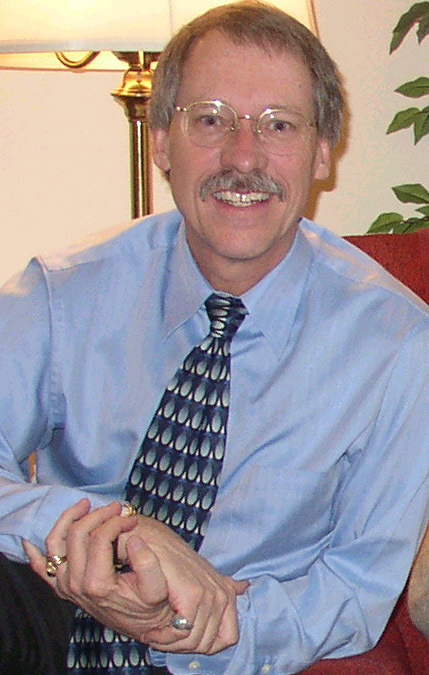 A practitioner of psychosynthesis for 40 years, he is President of Counseling and Human Resources Consulting, P.C., in Richmond, Virginia. Michael has made presentations at 64 regional, national, and international conferences, has 19 published articles, has appeared on 160 radio and television programs, has conducted 140 personal growth and professional training programs, and has led 200 outdoor retreats called the Wilderness Vision Quest retreats throughout North America since 1975. He is past president of the Virginia Association for Spiritual, Ethical and Religious Values in Counseling (VA ASERVIC) 1997-8; and a graduate of Leadership Metro Richmond (LMR) 2006. If your need a copy of Adobe Reader click on the button below to go to the Adobe web site to download the newest verson.